The largest BE 100s private equity firm, Vista Equity Partners, continued to expand its holdings by acquiring Lithium Technologies last year for an undisclosed amount. The deal allows Vista to pick up a cloud-based social media management and online community solutions company in San Francisco. The purchase also enables Austin, Texas-based Vista to build its roster of more than 35 companies, including Cvent and Solera Holdings. Among the world’s most successful investment companies, Vista concentrates on investing in software and technology-enabled businesses. Vista ranked No.1 on the 2017 BE 100s Private Equity list with capital under management of $30 billion. Last year, Vista actions included completing 43 investments and deploying over $5 billion in capital to build market-leading companies, according to its website. With Lithium, Vista gains a firm that serves some of the world’s biggest brands including Airbnb, AT&T, and Sephora, according to a news release. Lithium’s footprint includes 100 million monthly visitors via its Online Communities, and 850 million online profiles scored through the website and mobile app Klout. Vista has used acquisitions to help it grow immensely. In November 2016, Vista purchased Cvent Inc., a Tysons Corner, Virginia, leading cloud-based enterprise event management firm, for $1.65 billion. In September 2015, Vista announced plans to buy Solera Holdings in a $6.5 billion deal that included debt. Solera offers software to insurance and car companies. In November, Vista announced its acquisition of Datto, a leading provider of business data protection solutions. 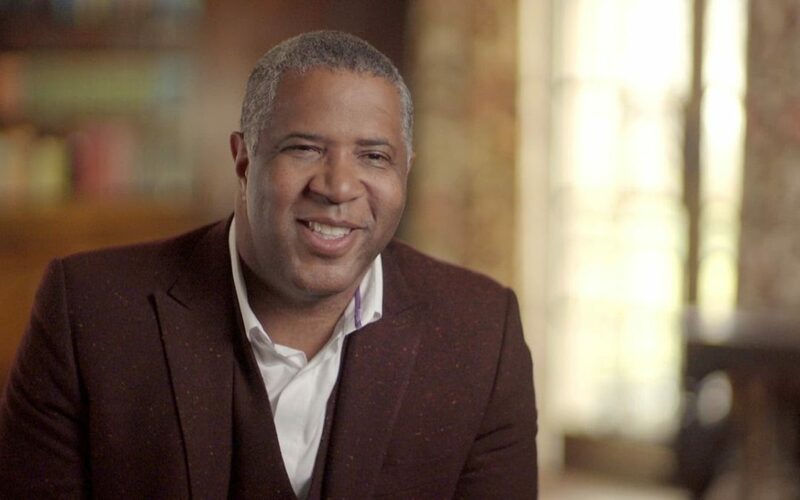 The acquisitions are among many big deals made by Vista’s founder, chairman and CEO Robert F. Smith. He has compiled mass wealth by buying companies in the technology space. Smith ranked No. 226 on Forbes’ 400 richest list with a net worth of $3.3 billion. Smith founded Vista in 2000 after leaving Goldman Sachs in 1999. Under his watch, Vista established a remarkable track record by regularly returning investors 30% or more on an annualized basis. That record allowed him to outperform many of his non-white peers on their turf. Since Vista was founded, Smith has been in charge of more than 290 completed transactions by the firm totaling more than $91 billion in transaction value. Still, Smith’s climb as one of a few top executives in the lucrative private equity business has not always been a breeze. Among his challenges: Getting some investors to align with him and his firm. The reason, according to an April 2014 interview with the New York Times, is race.